Aloe vera is actually a plant which grows in dry climates and which has been used medically for centuries. It treats sunburns, acts as a moisturiser without giving face a greasy look, treats acne due to its healing and anti-inflammatory purposes, fights aging, lessens the visibility of stretch marks, not to mention that it’s also beneficial to hair. 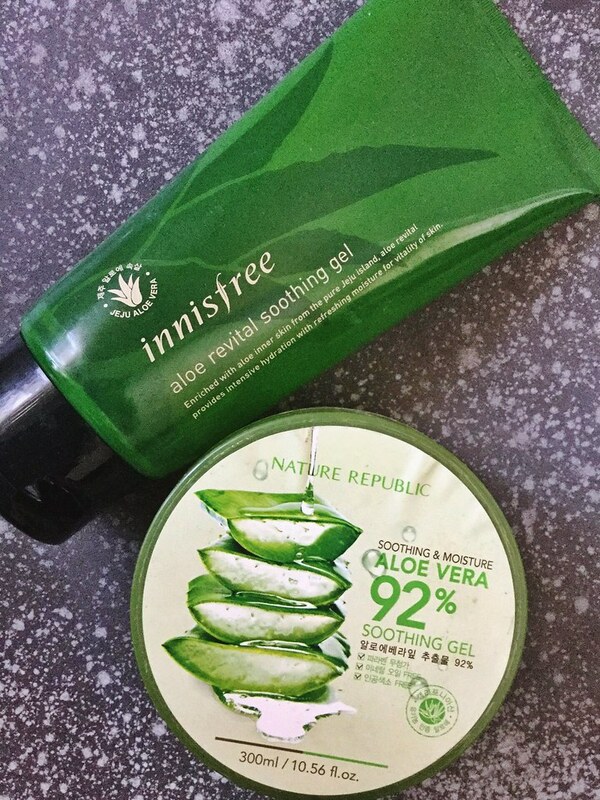 The Innisfree gel contains 93.6% aloe vera extract, but it contains two ingredients which are marked as probably ‘unsafe’ according to CosDNA. Plus it has many leaf extracts which of themselves are highly beneficial to the skin. One of them is camellia sinensis leaf extract, which is a green tea extract with antioxidant and anti-carcinogenic properties, whilst another noteworthy one is Opuntia Coccinellifera Extract, an anti-inflammation ingredient. The Nature Republic gel contains less extract at 92% however the triggers are a bit off the chart, with three ingredients which may be irritating or which may cause acne. Both gels contain 300ml worth of product, however the Innisfree gel is slightly more expensive. Both products recommend that you apply an appropriate amount to dry areas that need soothing such as hair, face, arms, legs, etc and to spread evenly. I had to create a section for this. The Nature Republic gel is in a ‘pot’ container and you have to scoop out the product with your hands or with a spatula if you happen to have one. The Nature Republic gel has a particular scent to it, almost perfumed. Don’t get me wrong, it is not an overpowering or off-putting scent but scent usually means perfume which has the potential to dry out skin. 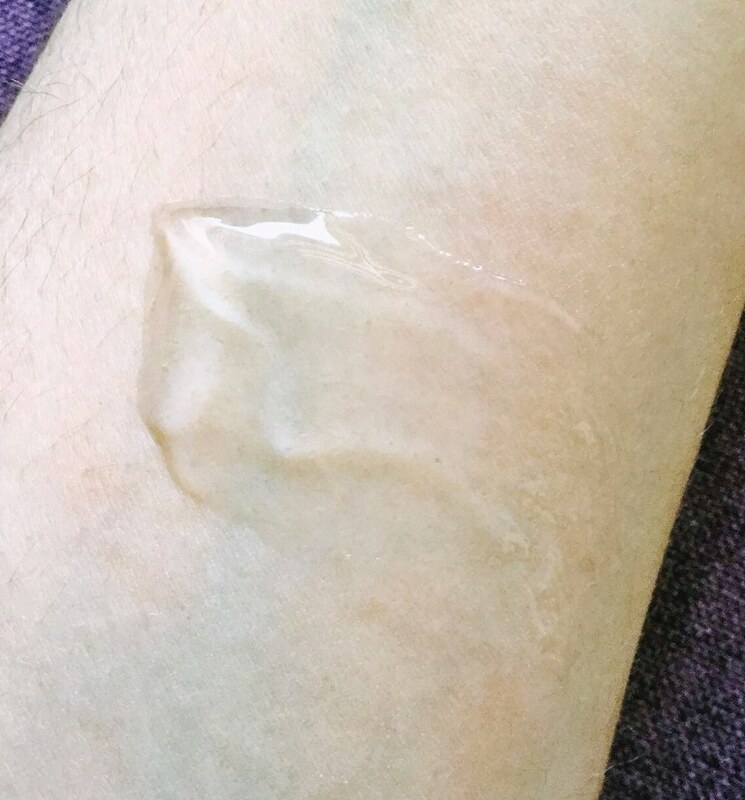 I scooped out some of the product and tested it on my arm, working it into the skin. The gel felt slightly sticky to the touch whilst it was being absorbed and the scent disappeared soon after it had absorbed. The skin felt smoother after using this gel. 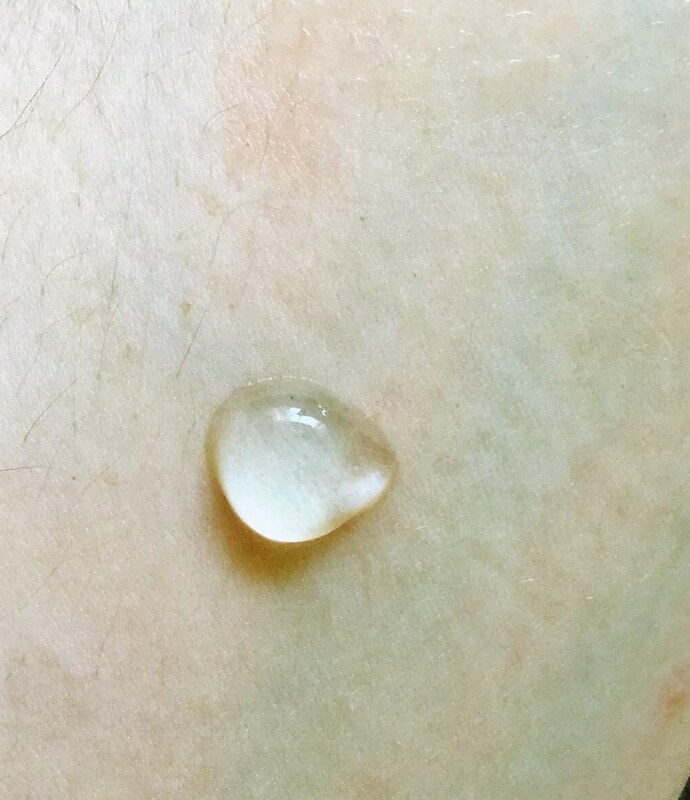 I had more control of the amount of product I deposited onto my other arm with the Innisfree gel, and noticed that it has no smell to it. The gel is clear like the other one, and it also felt slightly sticky to the touch whilst it was being absorbed. Skin also felt nourished after using this gel. Apart from the scent and the packing there is aesthetically no difference between the two products since even the consistency of the gels were almost identical. One of my complaints is that the Nature Republic is not good to be used on sunburnt skin. Whilst aloe vera is supposed to soothe sunburnt skin, I had to remove the Nature Republic gel off my skin immediately after I applied it because my poor skin started stinging pretty badly. I have already bought another aloe vera gel from another brand to test it out, but if I would definitely repurchase the Innisfree gel if given the choice. The ingredients, the packaging and just the cheap price for such an effective product outweighs the Nature Republic gel. Previous Post I’M FROM Ginseng Serum – The Key to Youthful Glowing Skin?